Many people are plagued with foot neuropathy. Many of these patients have neuropathy in the feet as a result of diabetes. One of the conditions that this disease causes is damage to the peripheral nerves of the body and left untreated, will last for the rest of the patient’s life. About 30 percent of the people with foot neuropathy have diabetes. Sometimes the cause is unknown. About 30 percent of all neuropathy cases are idiopathic or unknown. For those who suffer with foot neuropathy, the pain can be anguishing. One patients explains his symptoms as numbness and yet painful. Symptoms can be these as well as tingling in the feet and “electric” type sensations that can be quite terrible. There are three main types of nerves affected by neuropathy; motor, sensory, and autonomic. Several types of neuropathy affect all three types of nerves. Some neuropathies arise suddenly while others come gradually over time. Motor nerve damage has symptoms like muscle weakness, cramps, and spasms. This type of neuropathy can lead to a loss of balance and coordination. Patients may find it hard to walk or run, feel like their legs are heavy, stumble, or easily get tired. Sensory nerve damage can display various symptoms like weakened sense of position, tingling, numbness, pinching and pain. The pain is often described as burning, freezing, or electric-like. Some patients report that they feel sensations as if they are wearing an invisible stocking. The sensations tend to be worse at night, and can become painful and severe. On the other hand, sensory nerve damage may lead to a decrease or absence of feeling, where nothing is felt at all. In diagnosing foot neuropathy, your doctor will perform a medical history or physical Examination. Also, neurological exams will be conducted that will examine tendon reflexes, muscle strength and tone, the ability to feel sensations, posture and coordination. Blood tests will be taken to measure levels of vitamin B-12. Other common tests may include a urinalysis, thyroid function tests, and a nerve conduction study that includes electromyography (to measure electrical discharges produced in muscles). Physicians may also want to have a nerve biopsy for microscopic examination. There are many treatments available for foot neuropathy. They range from traditional pills and creams to special diets and therapies that stimulate the nervous system. Antidepressants and selective serotonin-norepinephrine re-uptake inhibitors (SNRI’s) are the first line treatments for most patients. These are available for non-depressed patients. Other medications often prescribed for neuropathy are anticonvulsants. These medicines block calcium channels on neurons to limit pain. Opioid narcotic treatments for neuropathy are also used to treat the condition but are not highly recommended because of the risk for dependency. However, opioids have been the most consistently effective form of relief in reducing neuropathic pain. For other types of neuropathy, doctors recommend treatment with a topical anesthetic such as numbing cream. Several topical applications of capsaicin (the chemical that makes peppers hot) have also been used to treat neuropathic pain. Alternative therapies for peripheral neuropathy include cannabinoids (a class of chemicals found in marijuana), Botulinum Toxin Type A (Botox), dietary supplements (such as alpha lipoic and benfotiamine), chiropractic massages, yoga, meditation, cognitive therapy, and acupuncture. Several ways exist to manage symptoms of neuropathy or prevent symptoms all together. Diabetics, especially, need to take care of their feet. Patients need to daily check their feet for blisters, cuts, or calluses and avoid tight fitting shoes and socks. Doctors may recommend an exercise plan that will reduce neuropathy pain and control blood sugar levels. 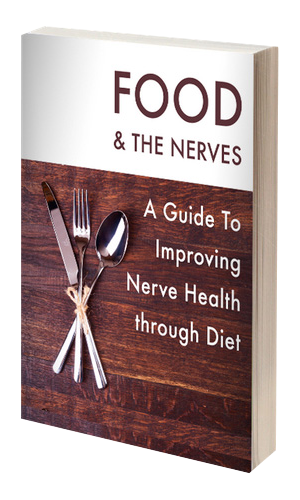 Those with foot neuropathy also need to quit smoking and eat healthful meals. Massage can also do wonders for the feet by stimulating nerves and temporarily relieving pain. Lastly, try to avoid prolonged pressure on knees or elbows in order to prevent new nerve damage. By following these practical tips and preventive measures, you can help reduce your symptoms or prevent foot neuropathy from occurring in the first place.